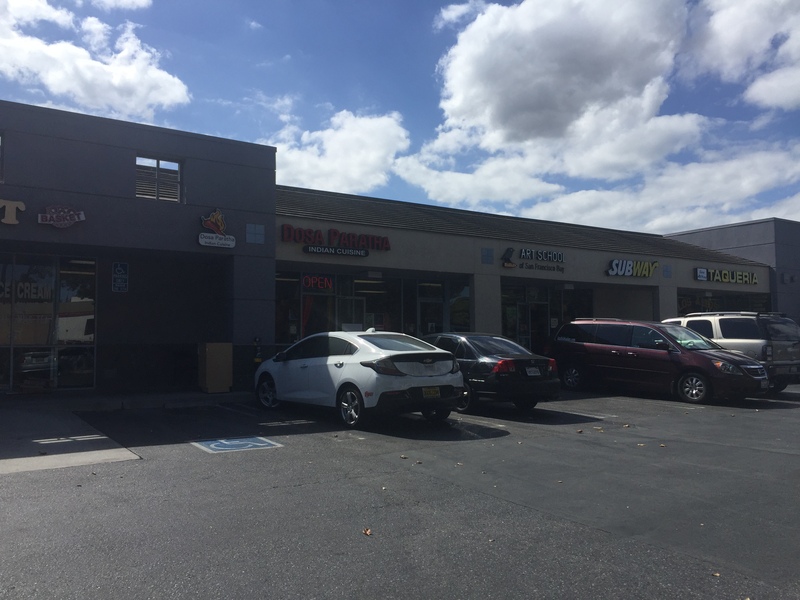 Dosa Paratha is a new small Indian cafe on Old Middlefield in Mountain View, in the same mall as Los Altos Taqueria and near many auto service shops. They focus on both Southern and Northern types of flatbread/ pancake/ donut family of food. On the Southern side, they have dosas, idlis, vadas, pooris, etc. 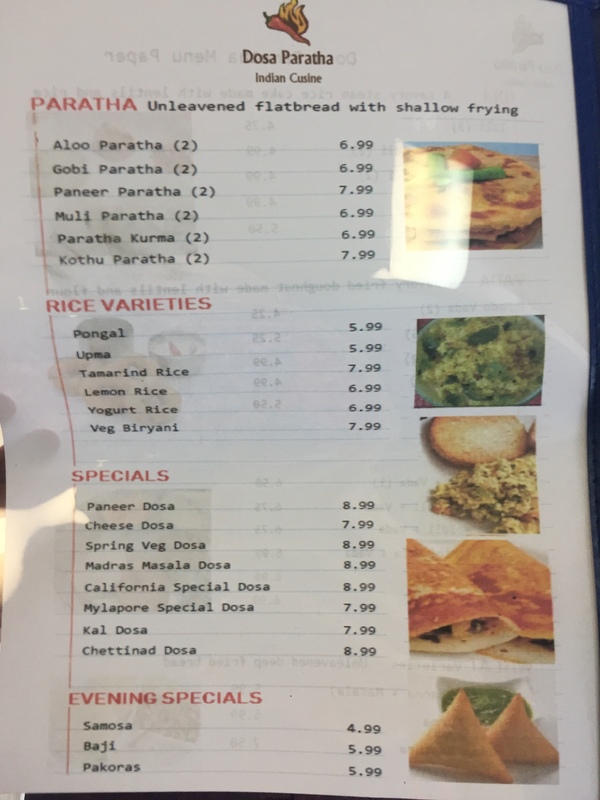 On the Northern side, they have parathas. 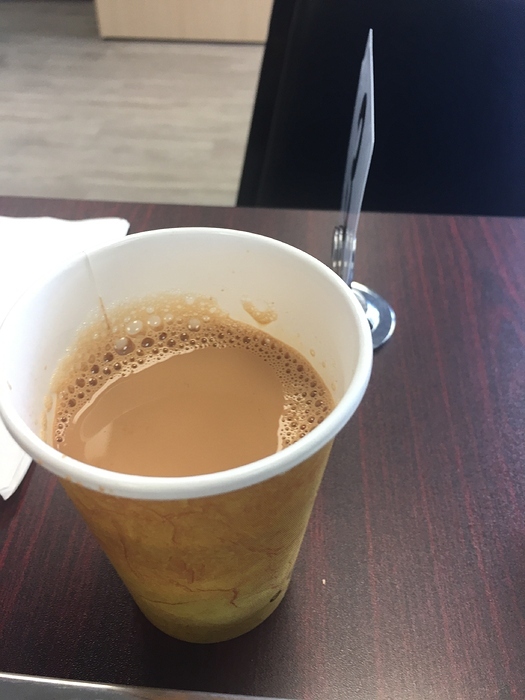 I had an onion masala dosa with a hot ginger tea. 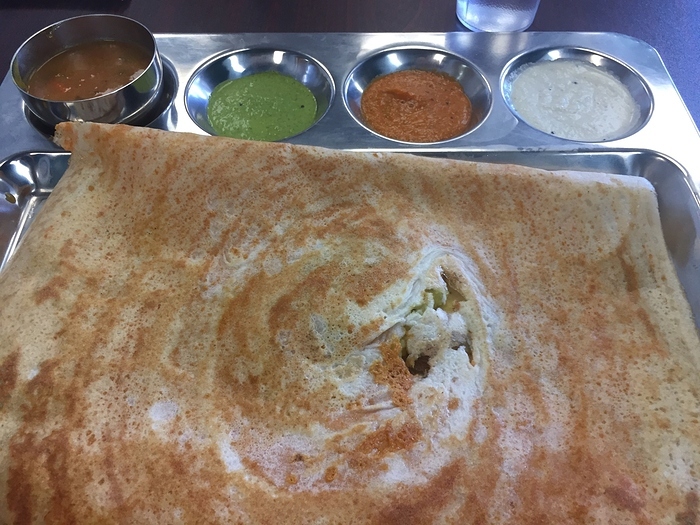 The dosa came with three chutneys and a sambar. The dosa was slightly crispy on the outside and had potatoes and onion with some chili flakes on the inside of the dosa. Its moderately spicy and had had a good texture and flavor. I liked the chutneys very much. Tasted very freshly made. The tomato onion dosa was bright. The cilantro chutney had a hint of mint to add a dash of coolness. The coconut chutney with fennel seed was both sweet and salty. Overall I thought the dosa was very good and ‘clean’ tasting, compared to the few that I had in recent memory. 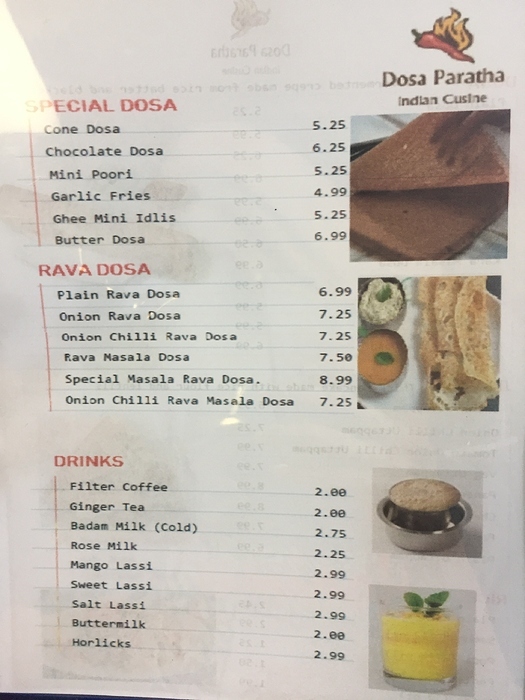 According to the friendly gentleman from Delhi at the register, the dosa is made with fermented rice for 2 days and then ground up with black gram lentil. A bit surprised that the restaurant is going with this more labor intensive process of grounding up fermented rice and isn’t just using rice and urad flour. Since I already ate everything by the time I had this conversation, I don’t recall a more noticeable sourness from this fermentation process. 2 day fermentation seems fairly long, but perhaps the cool Northern California weather has something to do with it? The Indian cook has been in the US for 8 years now. 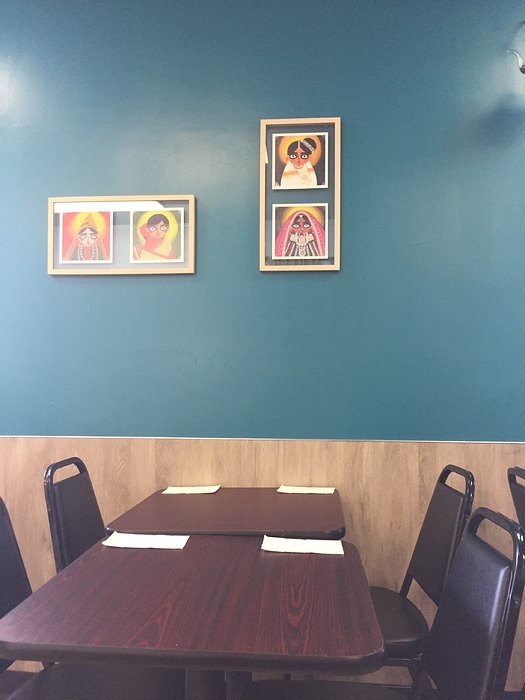 The bright and comfy dining room seats 20 and has some tasteful modern Indian art and decor. Prices are very competitive. Dosa Paratha, based on a very limited sample, has been a very refreshing and pleasant surprise. Very interested in exploring the menu further, and hearing how others like it, especially those who grew up eating these regularly. 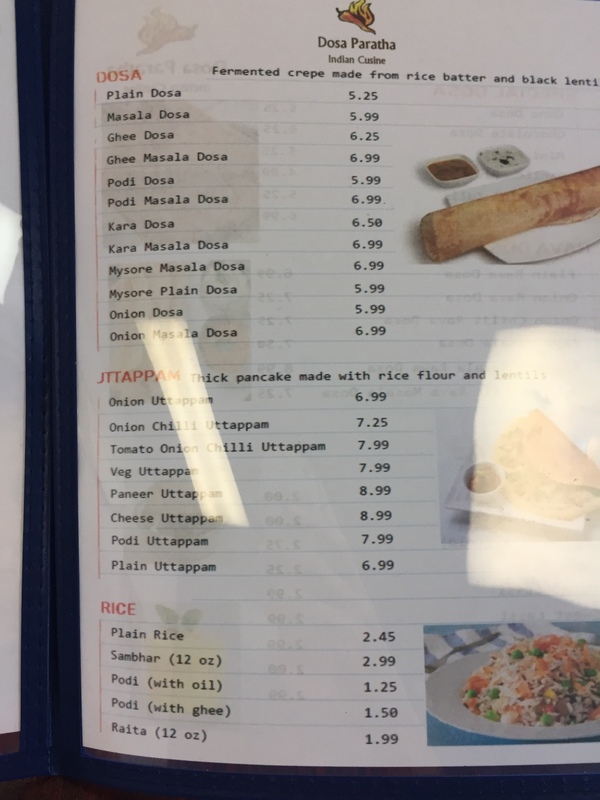 Dosa Paratha is nearby for us, so we’ve been there about three times in the two weeks they’ve been opened. The food’s good. 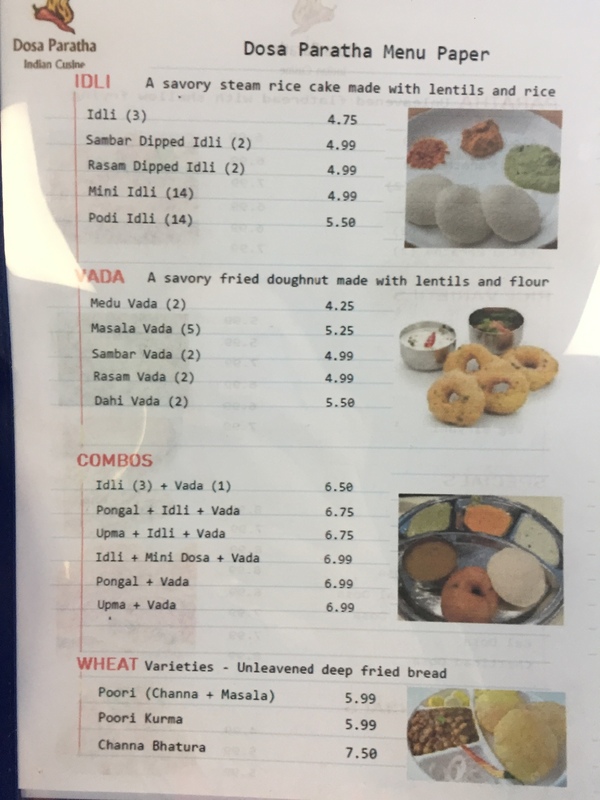 We’ve tried 3 or 4 kinds of dosas there, vadas with sambar or rasam, the parathas are good. The people who run it are friendly. Great to hear. I’ve been meaning to go back but haven’t had the chance. I should. Are there any dosas and parathas in the South Bay better than here? Had the aloo (potato) paratha to go. Served with white butter, lemon pickle and raita. I like the paratha quite a lot too. I arrived at around 130 and there were about 15 people waiting for tables outside. They were doing good business. My wife had some of the paratha and she liked it too. Now she wanted to eat there as well.